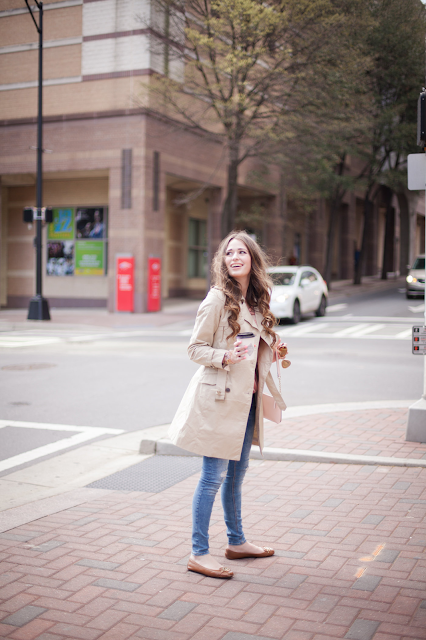 Switching things up for this outfit post since today marks one month since I moved away from Charlotte! I've noticed that it was around the three week post move mark that I really started missing a lot about Charlotte, so I decided to dedicate today's post to the city that I love so much. 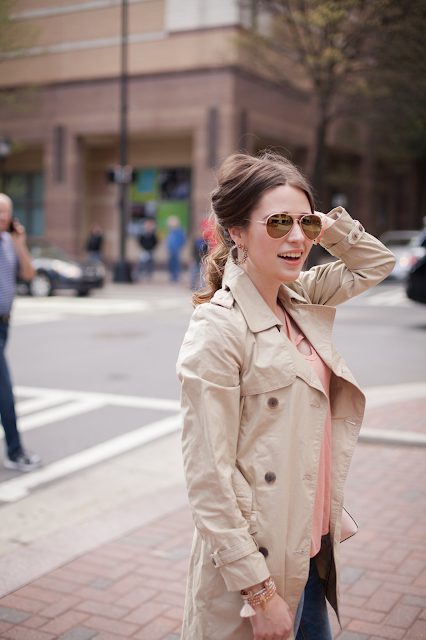 It also seemed fitting since this was an Uptown photoshoot! Minus a layover in your airport that lasted a mere couple of hours when I was in middle school, my first visit to you was in February 2012, for a college visit to what would be the first university that I attended. That school was actually over an hour outside of Charlotte, but you were the airport that my dad and I flew into. From the second that our plane touched the ground that night, I felt like I had come home. It was the weirdest feeling. As we grabbed a late night dinner in the airport before getting our rental car, I realized that I felt like I had finally come home for the first time in my seventeen and a half years of life, even though I had a home, back up North in a small beach town in Maine. And mind you- I was already having these feelings and I hadn't even left the airport yet! A year went by at my first university, and it was quite a year. A year filled with tender moments and growing moments, new friendships and new experiences in my new state. But I knew in my heart that my educational journey wasn't meant to continue at that university, and my heart longed to finally be a city girl. So in Fall 2013, off to Charlotte I went! I moved into Queens University of Charlotte to begin my sophomore year on a very rainy August morning, but I couldn't have been more excited to finally call the Queen City my home. My thoughts on Queens University are mixed for a lot of reasons... and truth be told I still wonder quite often to myself if I made the right decision in transferring colleges. But I always know that it was the right decision because of the city. I did fall in love while in college. Not in love with a boy, but in love with a city. Charlotte is where I became confident in myself, had opportunities beyond my wildest dreams, worked hard and played hard, and most importantly, grew up. 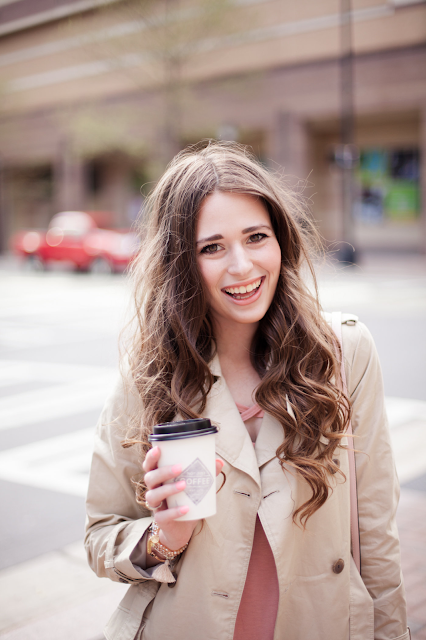 I moved to Charlotte as a college girl, and left as a young woman about to start her dream career. Of course, not everything was all sunshine and roses in the last few years. The last year I was there, my post grad year, brought an exceptional amount of pain and heartbreak. One situation especially which I never could have dreamed that I would go through... the type of situation that I wouldn't wish on anyone. But as much as it hurt then and still hurts sometimes now... I know that it made me stronger. Someday I'll be able to share more about it. Like zooming around I-277 at night and watching Uptown pass by so quickly, and having a feeling of amazement that such a beautiful city was my home. Driving by the hilarious billboard on I-85 near the airport for an airport parking company that was able to brilliantly integrate a bible verse into their marketing, and the fact it made me laugh and smile every time I passed it. The fact that my apartment was in a 10 minute radius of six different grocery story chains (and several Asian markets). The beauty of Selwyn Avenue and Queens Road West (streets in Myers Park neighborhood near my university) in early springtime when all of the trees start blooming around the Myers Park mansions. TARGET. I really miss Target. (So many of them in Charlotte!) Late nights studying in college at Amelie's French Bakery... and also first dates there and even some bible study meet-ups there. Basically I miss general life happenings at Amelie's. I miss nights out at clubs in Uptown with my college friends, and I miss the Uber rides that preceded and followed them. I still find myself reading The Charlotte Agenda first thing every morning which was my daily tradition for almost two years, and that's a hard routine to break out of... but now it makes me sad since I live out of state and can't visit the awesome places in the city that the Agenda writes about. I needed to leave Charlotte for a season, possibly many seasons. Of course mainly to begin my career, but also for some personal healing, and a change. Just like I had a gut feeling four years ago that I needed to transfer colleges and move to Charlotte, I also had a gut feeling this winter that it was time to leave for a bit and pursue jobs out of state. The type of feeling that's hard to put into words, but if you have experienced it yourself then you know what I mean. I call it a "God thing." So thank you Charlotte. Thank you for everything. A million times over. I thought about getting a tiny tattoo to honor you and your significance in my life. I would have gotten the Charlotte city crown logo, a tiny little version of it, maybe on my foot or my rib. But I'm very anti-tattoo and even though this one would have had meaning, I'm too against tattoos for myself to ever get one. So I did the next best thing to tribute you- I changed my name. Well, my radio name. 😉 I'm Charlotte XO seven days a week on-air now, living out my dreams in Vermont, thanks to the education and memories that you gave me. Every single time that I say my radio name on air, I think about you and how much I love and miss you. Outfit details are under the photos! 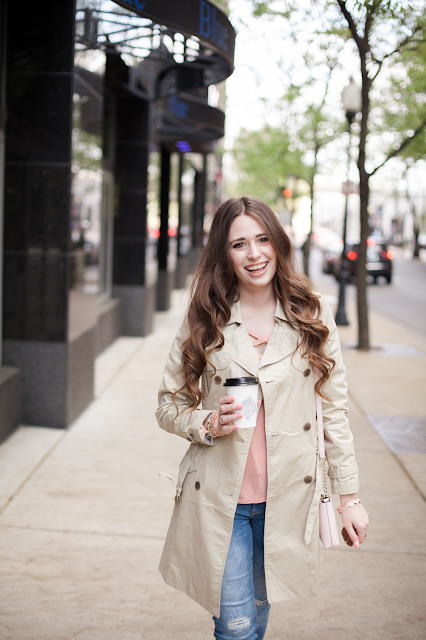 My top is from Nordstrom and sadly sold out by the time I got this post up, but I've linked a bunch of similar ones, both from Nordstrom and other retailers below. I can imagine how difficult it is to leave a city that you love, especially one you have spent all of your adult life in. I hope you come to love your new city and all of the new memories you will make in it! P.S. Your radio name is so cute and a great tribute! I love this casual outfit! I love Charlotte, it is amazing! What a great tribute to your prior city! I've always wanted to visit Charlotte. It seems amazing. I love this! I can really see how much you love Charlotte and I love how you changed your radio name to match. If you ever change your mind a crown tattoo would be so cute! Loving your outfit! Very cute! I have never moved, but I can imagine how hard it is! Soon you will feel like you have two homes as you get settled. Your curls look stunning in these photos! This is so sweet and cute! It's really interesting how you can love a place so much, but at the same time realize you've grown and it's time to go. I felt that way about my hometown. I've experienced the "God thing too!" It can be so hard to go with your gut, but I've found that God knows what He's doing and everything will work out in the end. I think that tattoo would be such a cute choice! I've never been to Charlotte, but have ALWAYS wanted to go! Aww I can imagine how difficult it must be to be away from a place you grew to love. I love your outfit, so laid back but still stylish!